Rosco had a car accident. We went to the hospital but there was no chance he can walk again. Then we bought a wheerchair with donations. 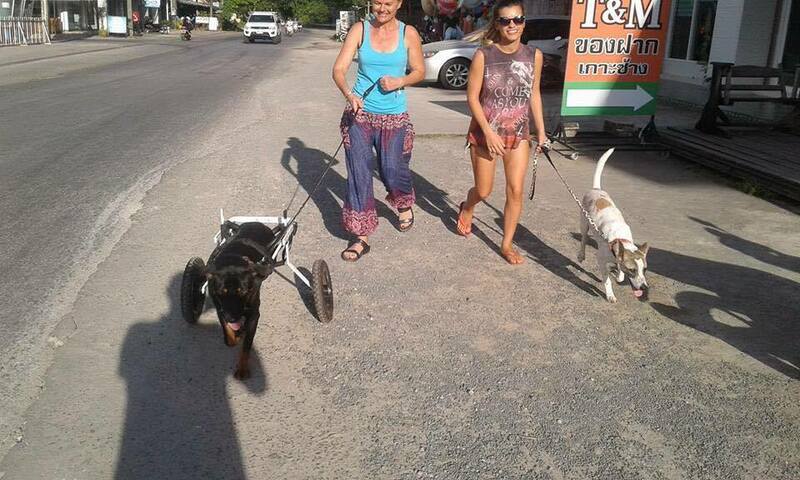 He loves to walk with him and has a happy live on the shelter.